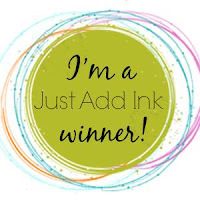 Just Add Ink: Just Add Ink #440......Winners! Thank you to everyone for playing along with our blog hop challenge last week - it's always great to see all the lovely projects and creative ways that you Just Added Something New. 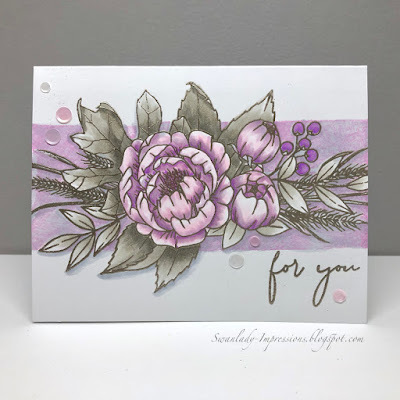 "Stunning colouring adds incredible depth to this beautiful floral bouquet"
"Totally stunning & beautifully coloured one layer card with so much dimension"
"Absolutely amazingly coloured one layered card"
"Such a soft, sweet and beautifully delicate card"
"What a clever shaker card! Very pretty"
"Elegant, fun and clever - what more do you need!" "Such a fun card! Love the colours to make the gorgeous background. Those bears are just super cute!" "Very sweet & cute card with lovely inked & masked background & very cute critters"
"Super cute and beautiful coloured background"
Thanks so much for picking my card ... I really had to persevere with it! It nearly ended up in the bin! Thank you so much for featuring my card here!! And for all the lovely comments from the DT! 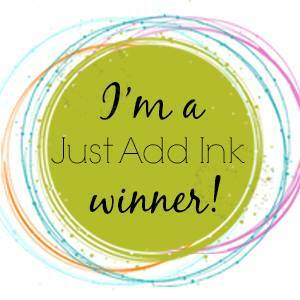 Just Add Ink #440..."Blog Hop"